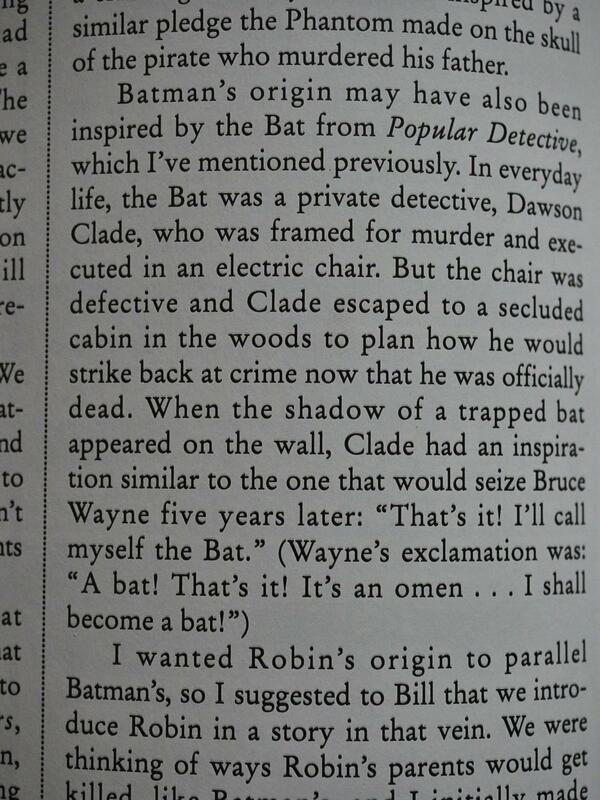 Batman & Me (1989) by Bob Kane and Tom Andrae. 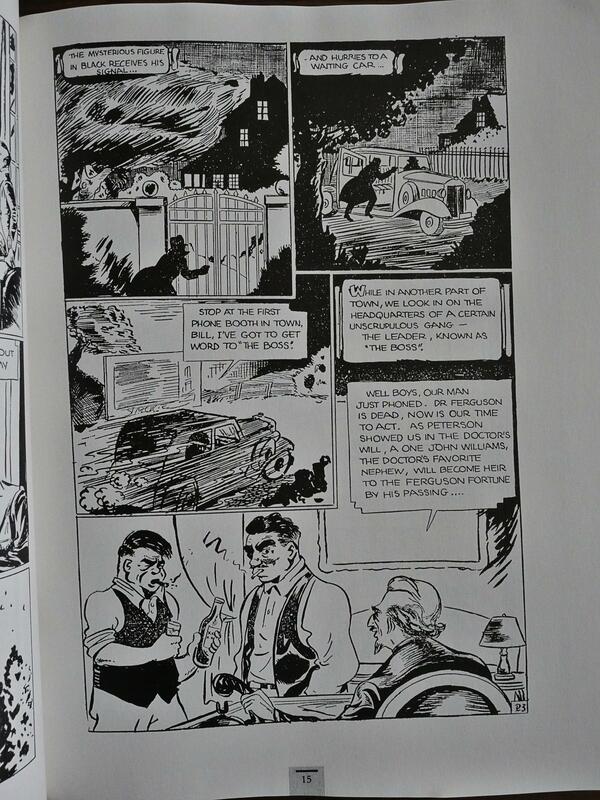 Eclipse had previously published a handful of books (like Comics & Sequential Art by Will Eisner), but I think this is the first autobiography? Like virtually all of the books, this is also in album format, which is a slightly odd choice. … but apparently virtually the entire text is by Kane “with” Andrae. I really have no idea, but I’m guessing that Andrae wrote the text based on in-depth interviews with Kane. It’s a pretty strictly chronological retelling of Kane’s life, starting as a child in the Bronx, detailing some really hair-raising fights with rivalling gangs and stuff. The prose is clear and pretty entertaining, although it relies heavily on set phrases and cliches. 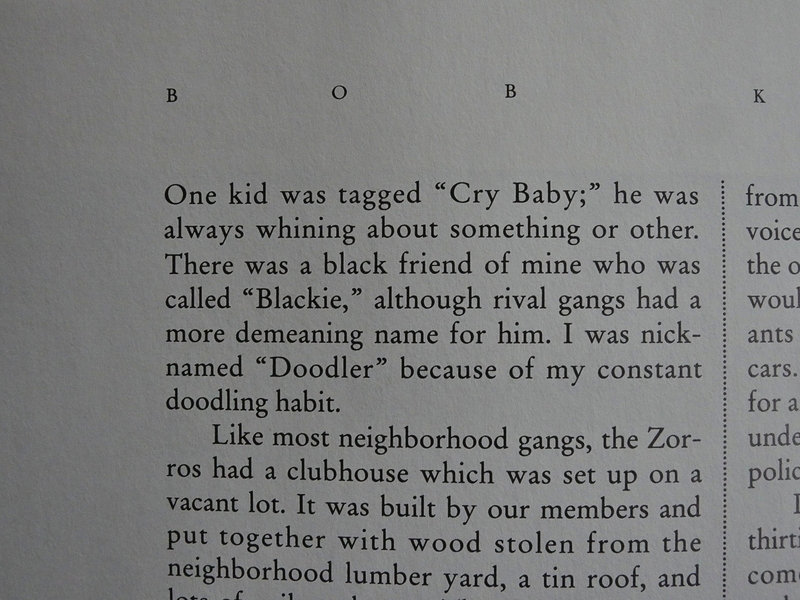 And you can’t really say that his gang were that imaginative with their nicknames, can you? But we leave the childhood years after half a dozen pages and we get to his professional career. And it’s really nicely put together: When he discusses his first published adventure comic, we get the story, and so on. I mean, it’s a small thing, but I’ve read so many comics histories that are so sloppily put together, with the illustrations never showing you what the text is talking about, that even something as simple as that stands out. 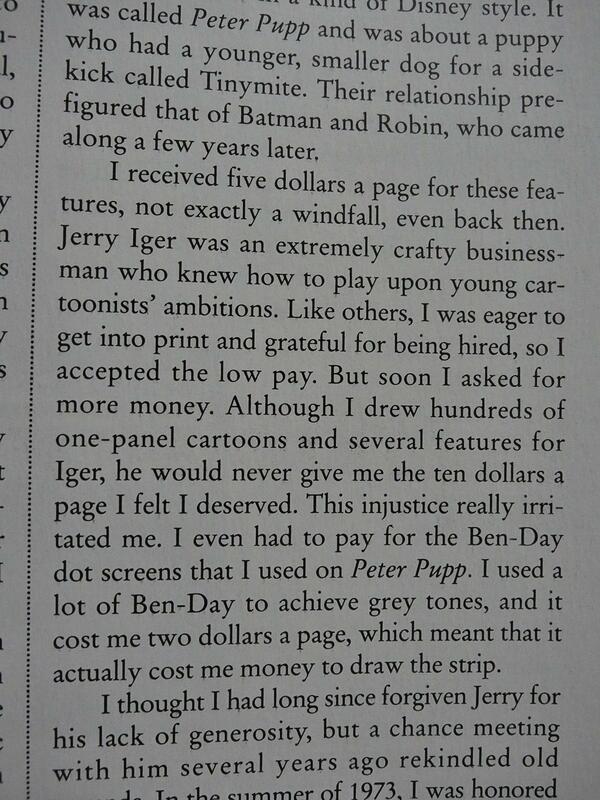 Working for the early comic publishers was no joke, with Kane being paid so little that after paying for the art materials, he lost money for every page. So he gave it up briefly and went to work for his uncle at a shipping company. He left after being promoted and being told that he could finally use the executive bathroom. He just found that division so absurd that he quit on the spot. I think that’s a wonderful anecdote. 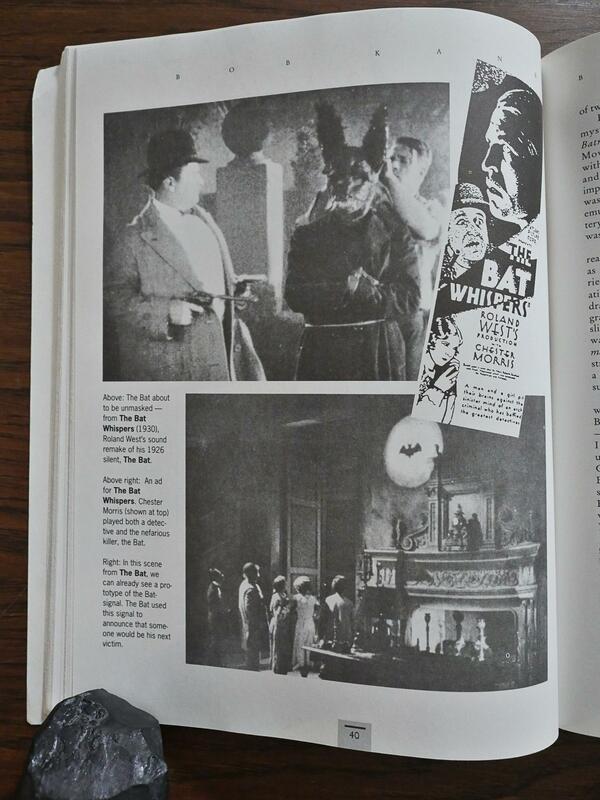 … and the name and general look was from various other bat-themed movie serials. I don’t really know much about Batman’s history, but I have registered that some people are angry that Bill Finger doesn’t get more credit. 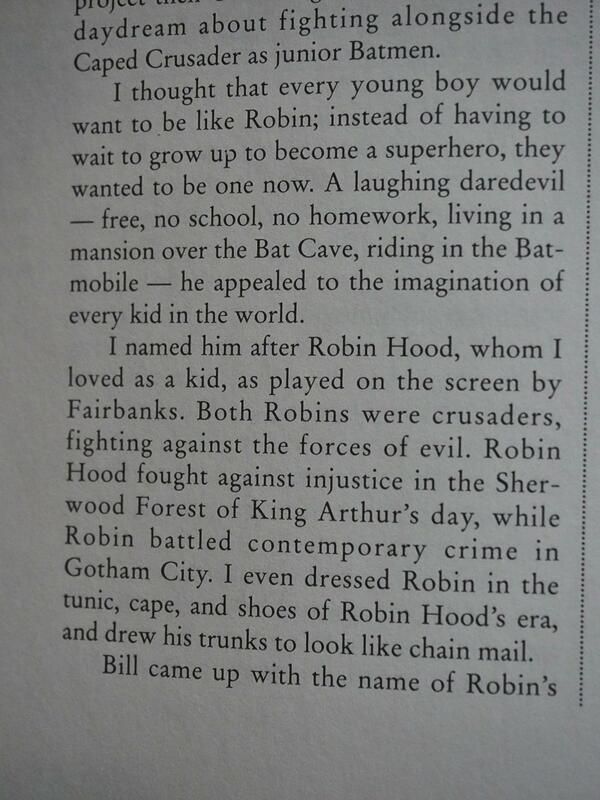 It’s clear that Bob Kane considers him to be a co-creator who contributed significantly both to Batman and Robin. And Robin was introduced to appeal to boys, and Catwoman was introduced to appeal to both women (as somebody to identify with) and to men (to have somebody to ogle). Kane’s way of talking about these things is wonderfully straight-forward. 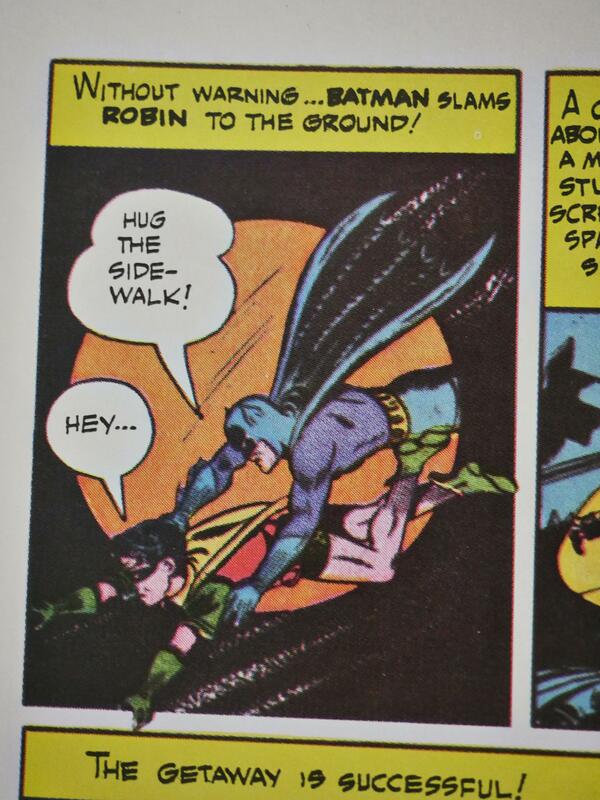 … and two complete early Batman stories. 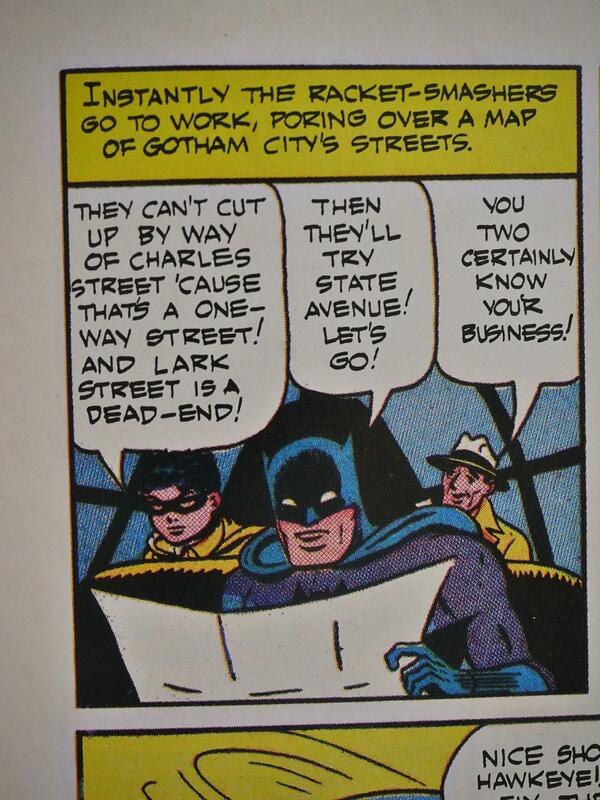 Batman and Robing were apparently really good at reading maps! 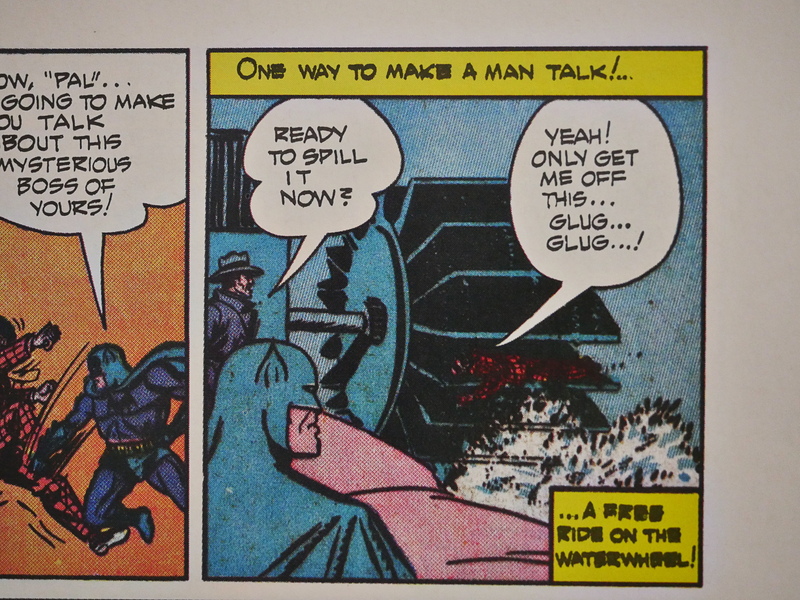 And Batman liked to waterboard villains from the start. 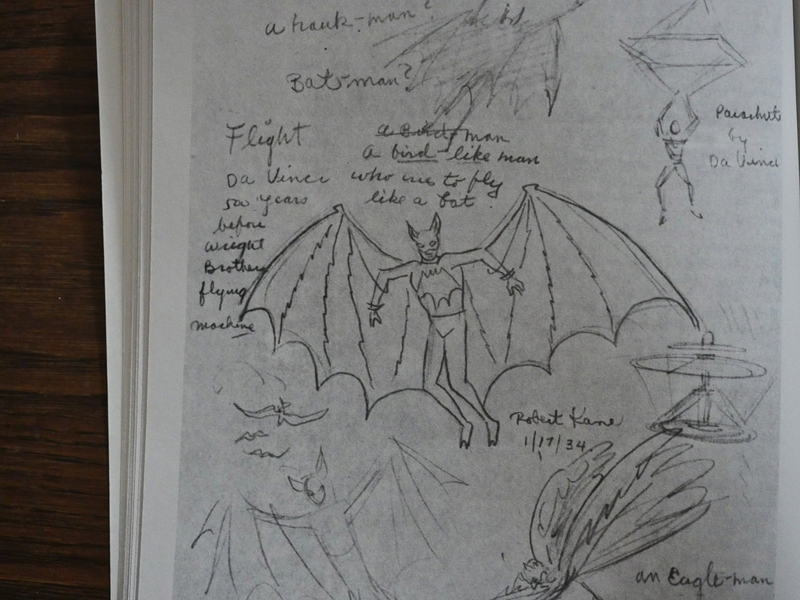 Even Batman’s origin (which they didn’t come up with until a year after they’d created him) was er inspired by other sources. 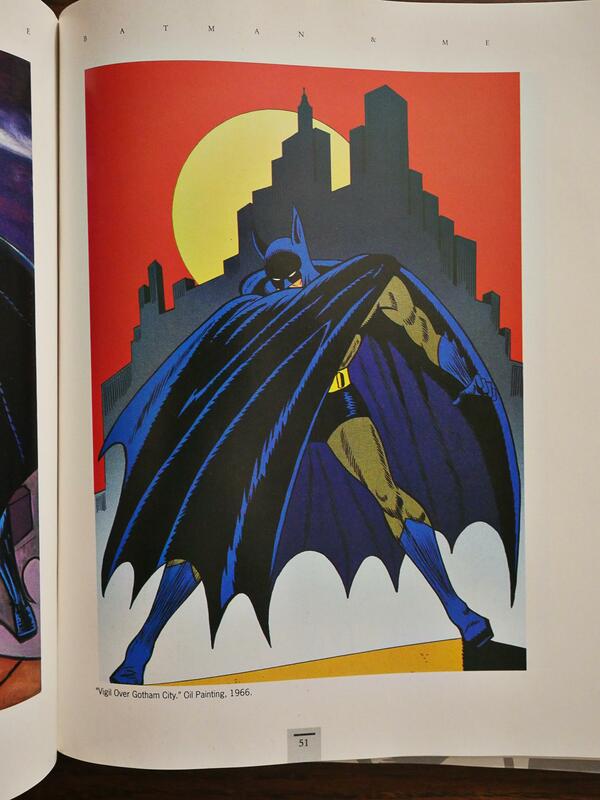 Kane did less and less of the day-to-day artwork on Batman and started hobnobbing with Hollywood stars. Anyway, this autobiography is a lot better than I thought it would be. 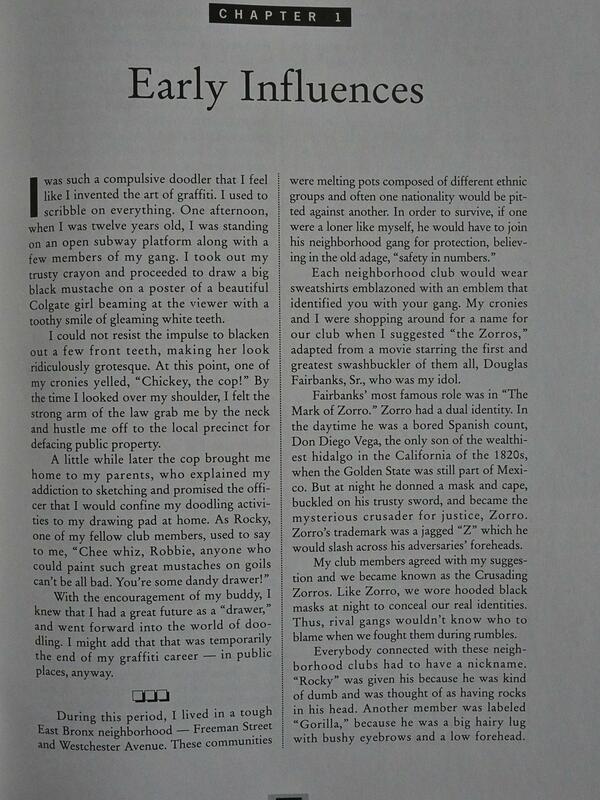 Kane’s got a bunch of entertaining anecdotes and gives a down-to-earth analysis of his own work. 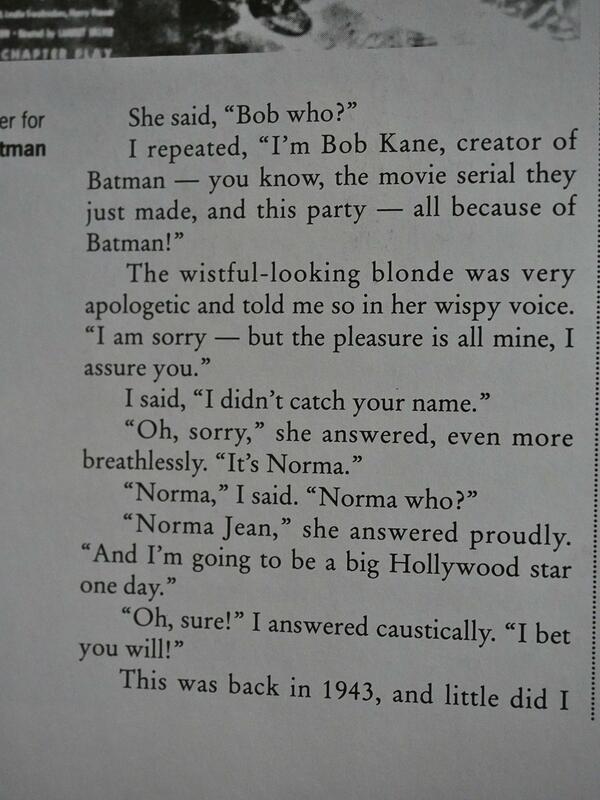 This is Bob Kane’s thoroughly despicable account of how he came to create Batman all by himself, was one of prime creators of comics from the golden to the silver age, and how he came to sleep with Marilyn Monroe. It is all a pack of lies. 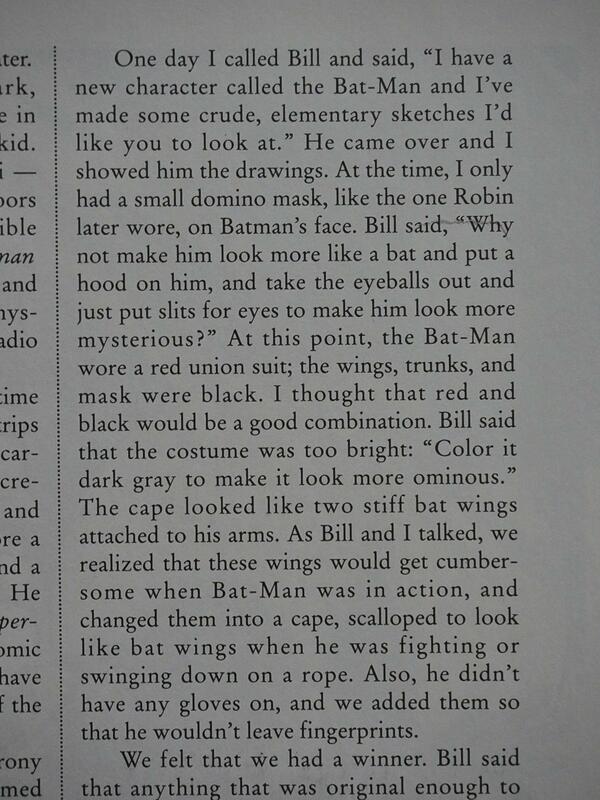 We know that Batman was co-created by Bill Finger, many of the most popular and innovative parts of the Batman mythos were created by others, that aside from his actual part in Batman Kane had very little impact on comics, that he farmed out so much work to ghosts that his impact is diluted even more, and nobody believes the Marilyn Monroe story. She certainly was not around at that point to refute it, so he victimized Monroe. The book is entertaining to read, thus the extra star, but this book is absolutely disgusting. That’s… a weird reading. Kane wrote nothing of the kind about Marilyn Monroe… and the rest… is… just made up, as far as I can tell? How utterly strange. Bought this autobiography as a research tool for a play I hope someday to finish. 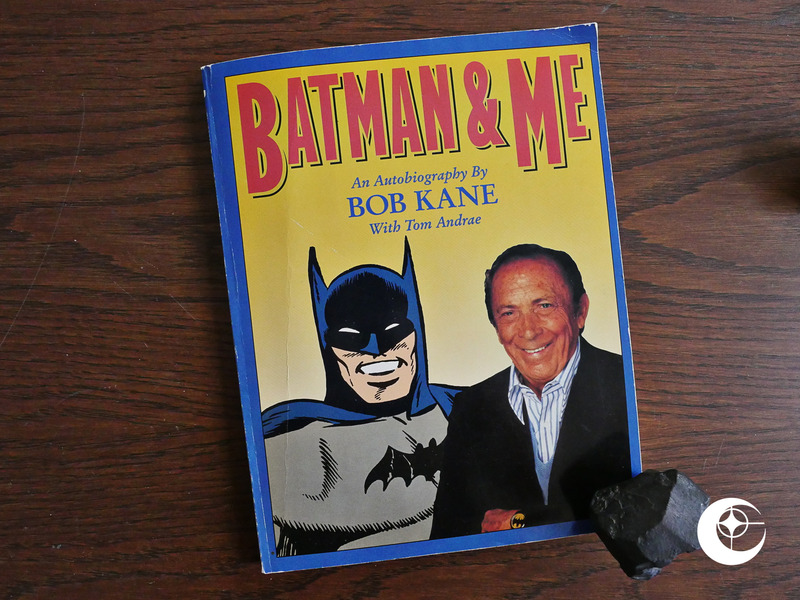 If you want to know about Bob Kane, don’t start here. 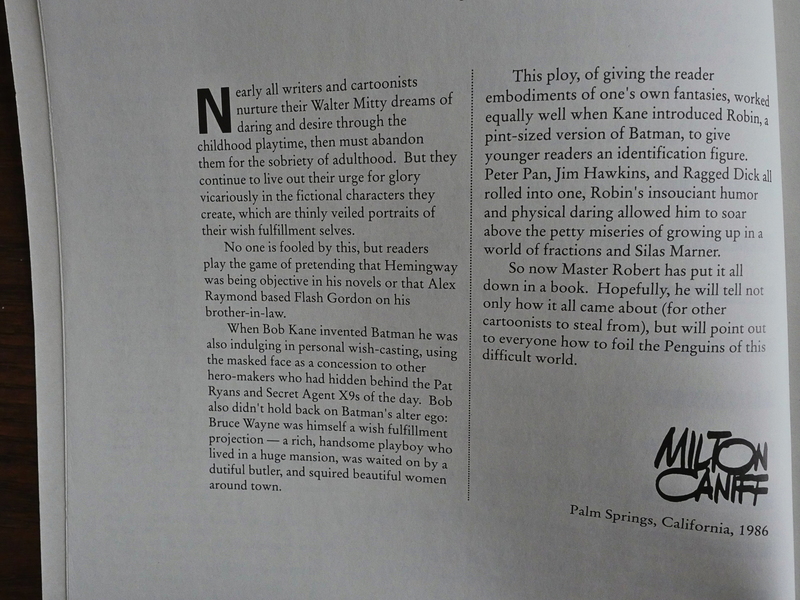 Or do start here, but be aware that he is the king of embellishment, and his whole book is an attempt to build himself up as both a larger than life figure, and the sole creator of Batman. The writing is serviceable and spritely enough, and he does give some credit to his writer, Bill Finger, but Kane’s hubris gets less entertaining with each chapter. I donated this book to the local library not long after purchasing it. 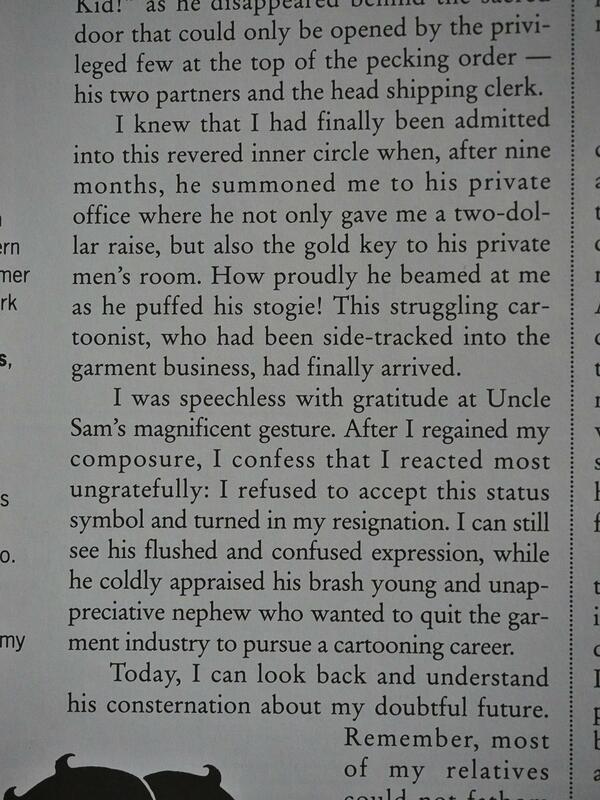 I don’t need Bob Kane’s defense of freezing others out of creative profit in my house. When a highly well known comics figure passed away a few weeks ago, the nicest thing I could think to say about him was, “well, he wasnt as bad as Bob Kane”.